Click on CD covers for detailed project pages. 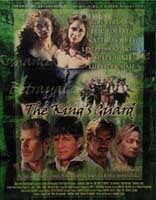 The Kings Guard is a period swashbuckling adventure starring Lesley-Anne Down, Ron Perlman, Eric Roberts and Ashley Jones. Set in 16th century England, the film features elaborate swordfights and major battle scenes. 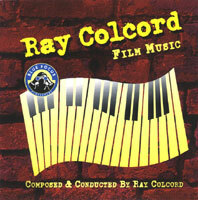 Ray's Film CD is the latest compilation of his film and television scoring. 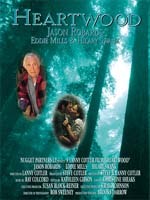 It encompasses many styles ranging from current action adventure to traditional orchestral romantic scoring. This was a lovely project. I have always wanted to write romantic orchestral film music, and here I got to do it throughout an entire film, with no car chases. Amityville Dollhouse is the sixth, I believe, in the series. Evil returns, this time flowing out of an elaborate dollhouse that is a copy of the house from the first film. This was a fun score to do, encompassing a number of different styles while not taking any of them too seriously. 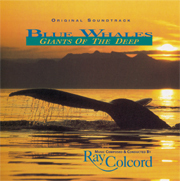 This documentary, produced by ABC/Kane, is the wonderful story of the comeback of the blue whale from near extinction. Al Giddings is one of the worlds premier underwater photographers, and the footage is just spectacular. This is a one-hour documentary about the largest tomb ever discovered in the Valley of the Kings, in Egypt. 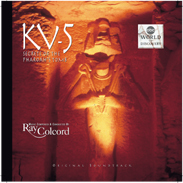 It was not until 1989 that american archeologist Kent Weeks located KV-5, the tomb Ramses The Great may have built for his sons and daughters. 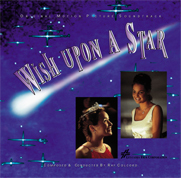 Wish Upon A Star is a teen-oriented comedy about two sisters who magically exchange bodies. Again, a medium-sized orchestra with traditional comedic scoring.